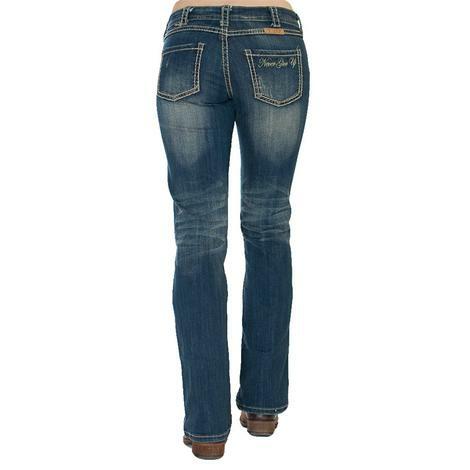 Perfect for riding, these bootcut Q-Baby jeans by Wrangler feature flexible knees, flat seams, and ensure that you will have a comfortable ride in the saddle. 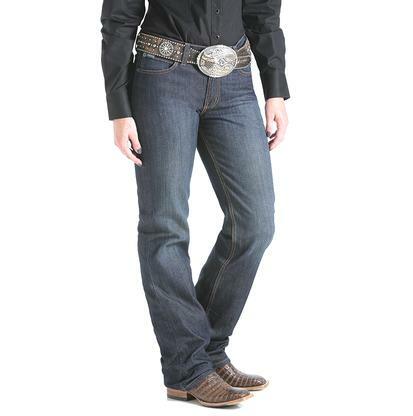 This enduring classic boot cut jean by Cinch is made with 11-ounce denim and features a mainstream fashion finish with a mid-rise relaxed fit. 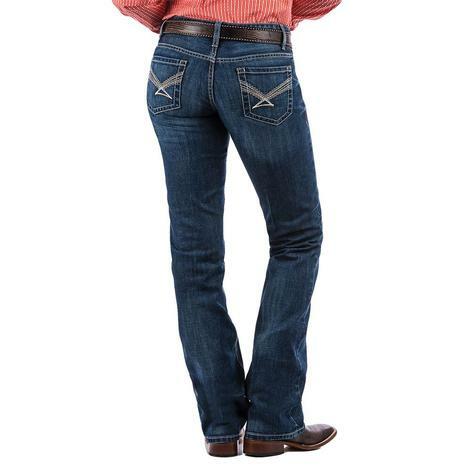 These jeans are Cinch's signature relaxed fit that has been updated for this season with white and grey stitching, and chevron embroidered back pockets. 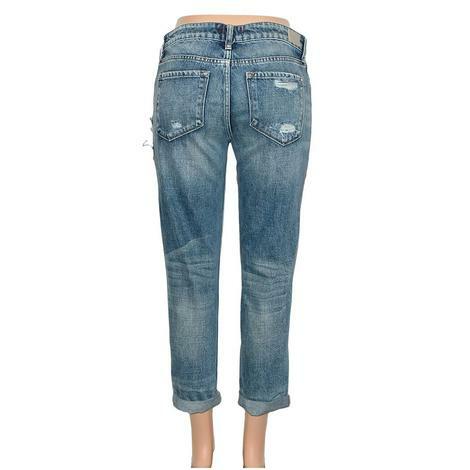 They feature a hand sanding, whiskers, and gringing look to get this versatile medium stonewash look. 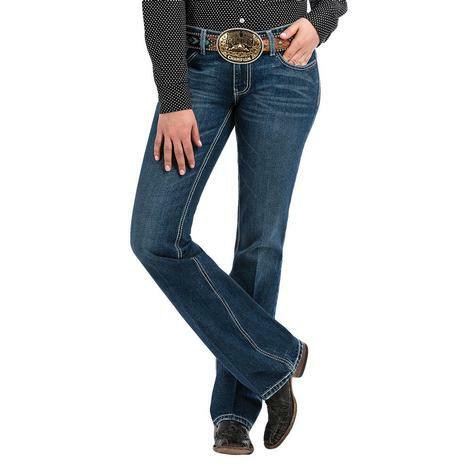 Rock these jeans in and out of the arena. 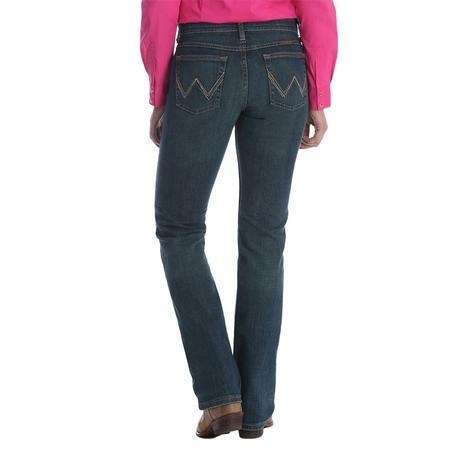 Whether you're in the saddle or on the dance floor these jeans by Cinch are perfect for both. They are a dark stonewash and feature a signature stitched back pocket in a blend of bronze, hazelnut, and cream colored threads. Turn heads anywhere your adventures take you. 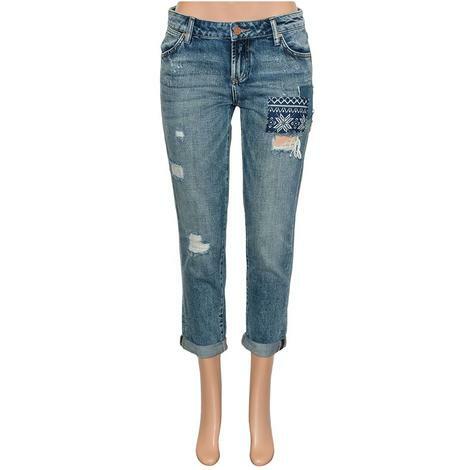 Dear John Metro Bejeweled Women's Jeggings are a classy style for any occasion. 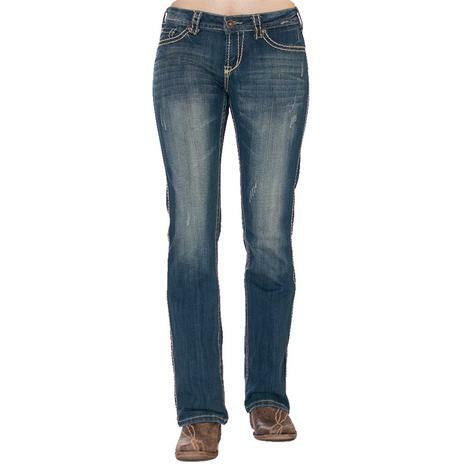 Each pair of jeggings are deep beautiful dark blue with slanted back pockets, The Metro hugs your curves and enhances with sleek expertise.